Combine the charm of yesterday with the technology of today. 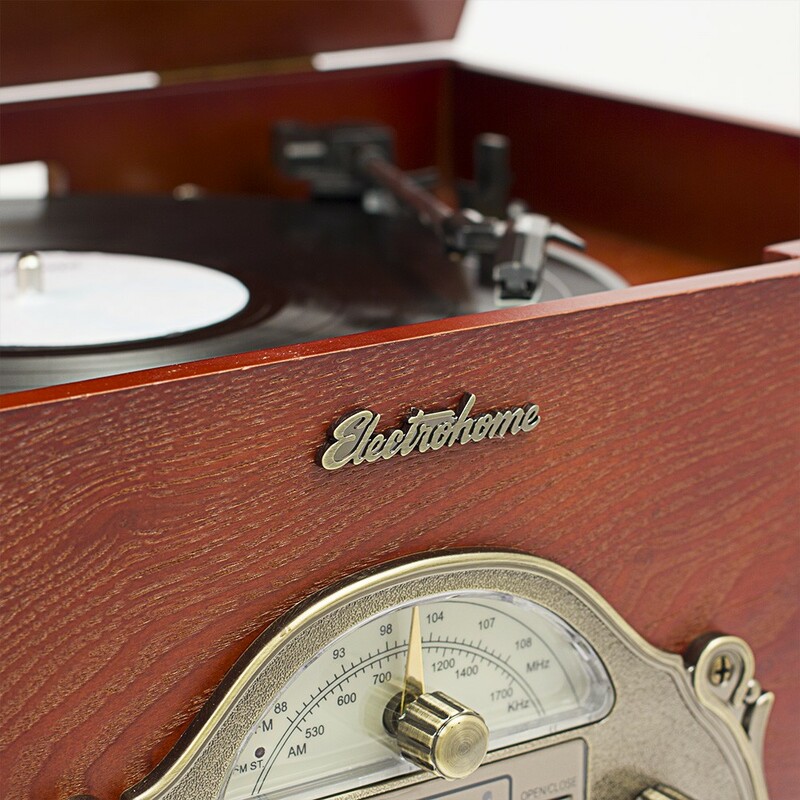 Backed by over 100 years of manufacturing high-quality audio products, Electrohome has paired the design of vintage record players with the features of modern stereo systems. Play your entire music library with this 4-in-1 classic turntable system. 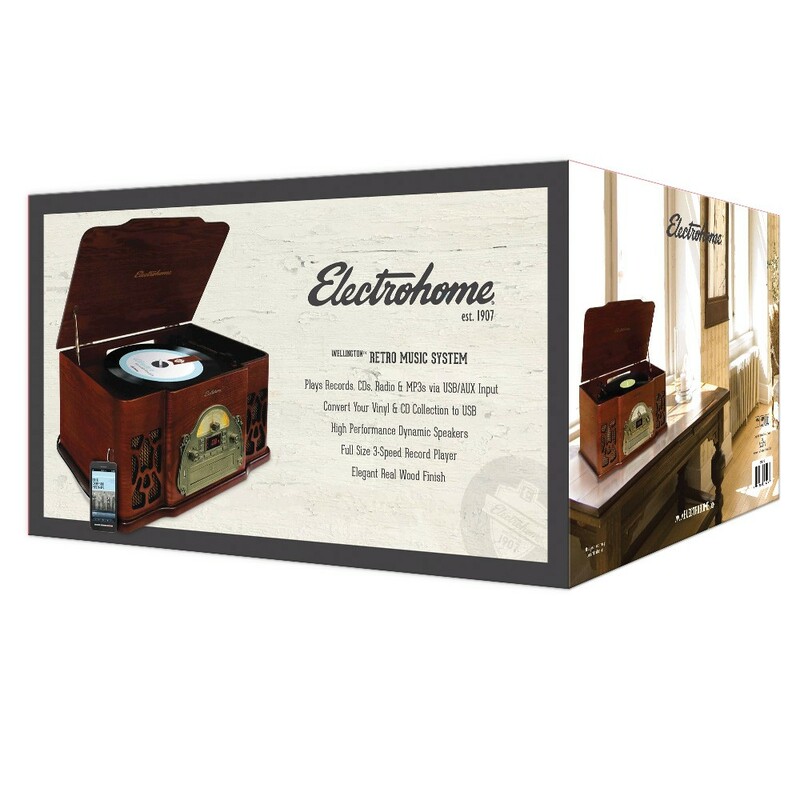 Upholding Electrohome’s strong reputation for high quality, each unit is handcrafted with real wood and has a rich mahogany finish. Audio components such as the conical-shaped sapphire tipped needle, dual full range dynamic speakers, and acoustically designed cabinet give the Wellington Music System room filling sound that creates a warm and crisp listening experience. 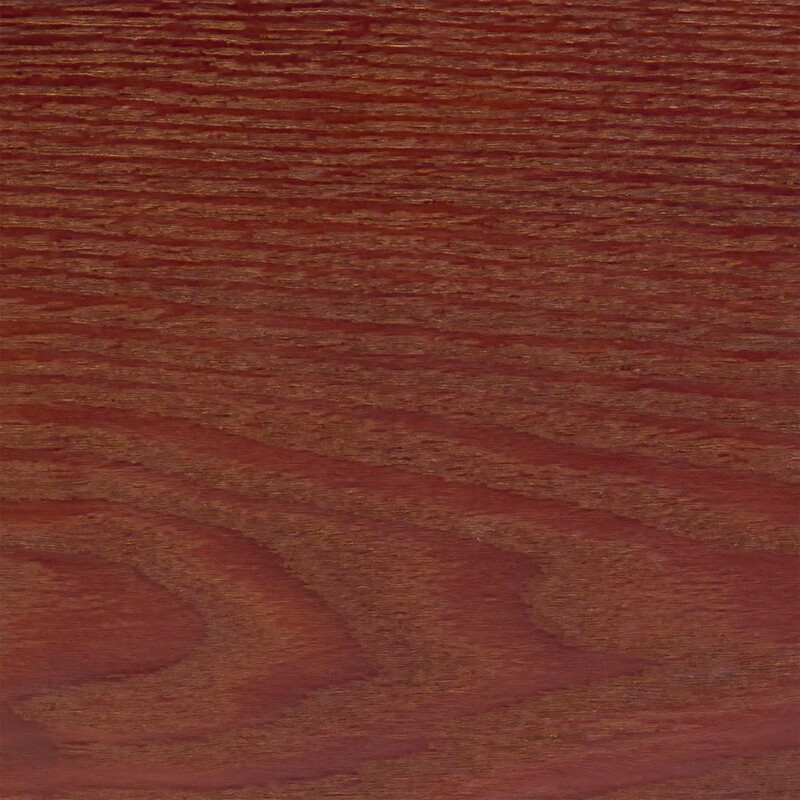 With the natural sound of vinyl, you’ll hear details that you’ve never heard before. Sit back and relax while you listen to your record collection, CD’s, AM/FM radio, MP3’s, and even connect your smartphone or tablet. 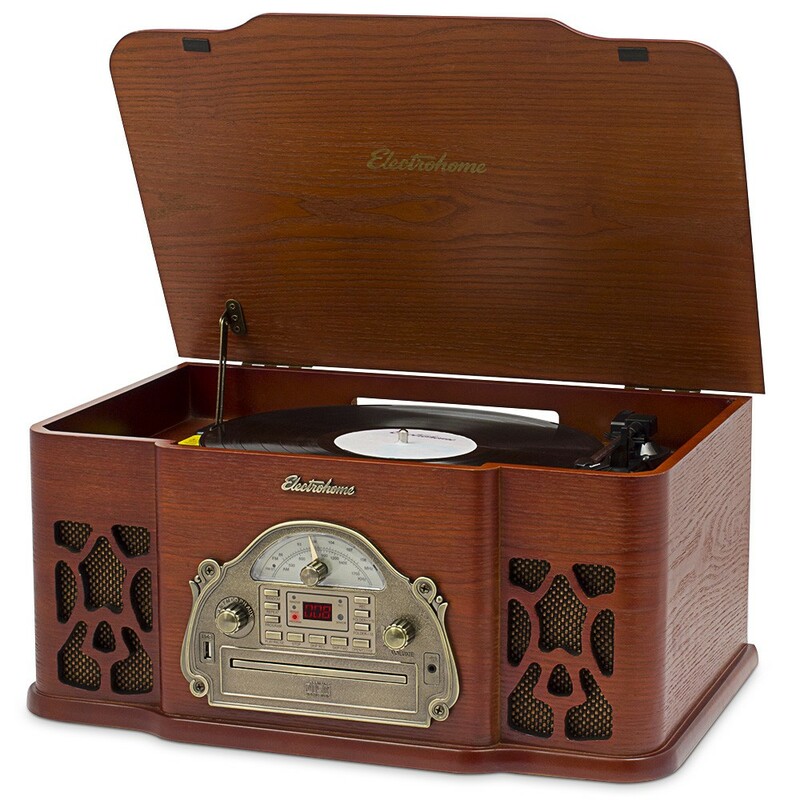 Enjoy your - and dad’s - vinyl collection with this fully automatic belt-driven turntable that spins 7, 10 or 12” records at speeds of 331/3, 45 & 78 RPM. 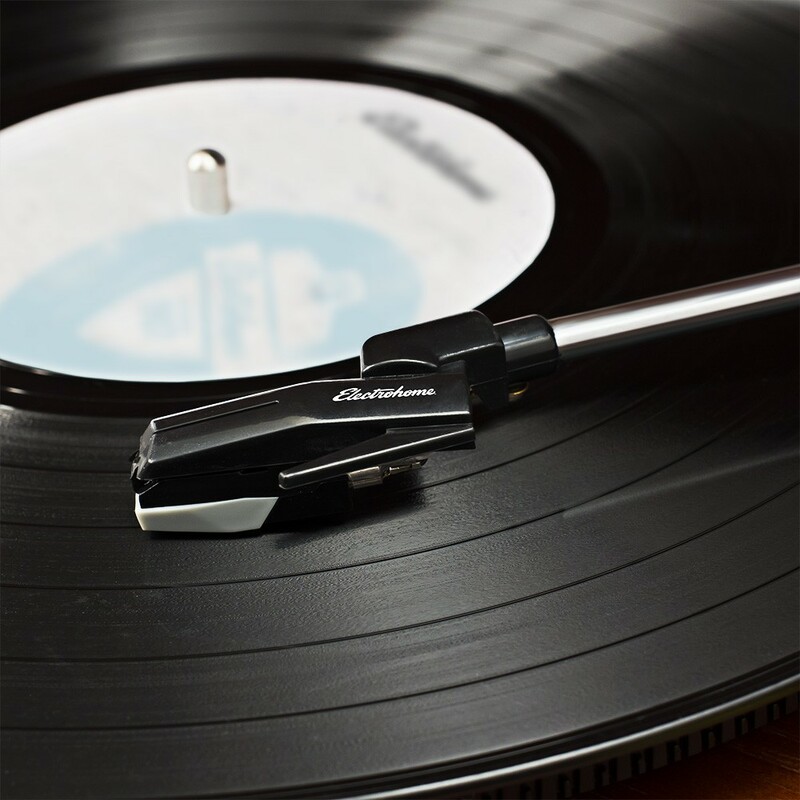 For private listening, simply connect your headphones and drift away into the world of vinyl without disturbing a soul. 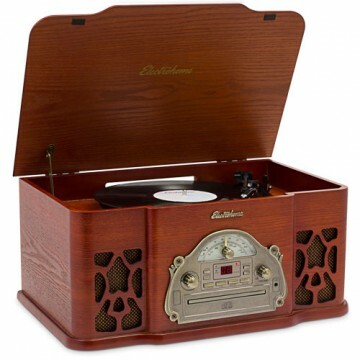 In addition to all of the listening options, you can easily convert your record and CD collection to MP3 so you can take your favorite music everywhere you go. 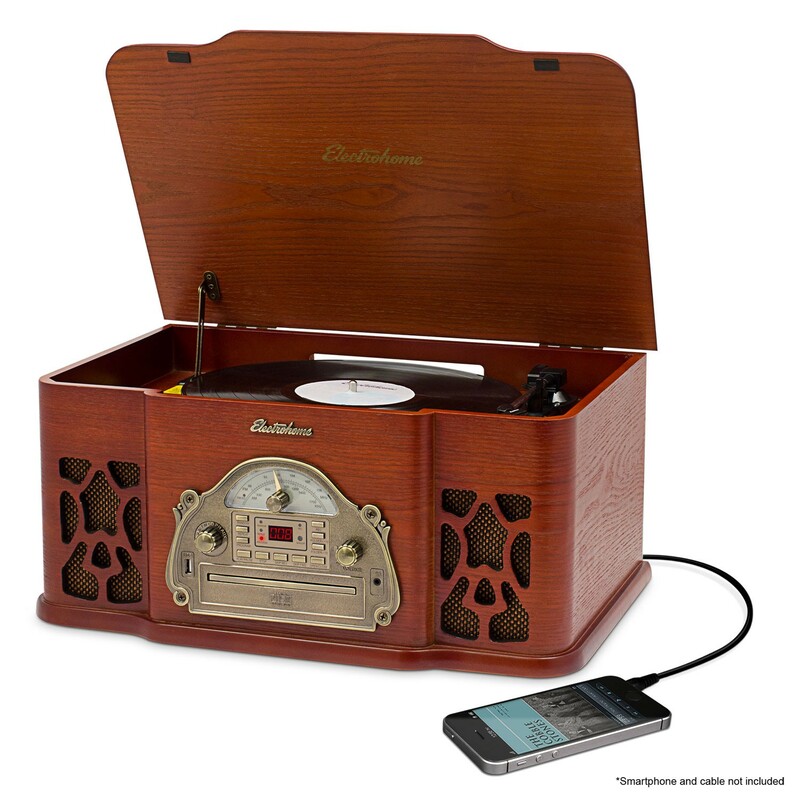 Fit every warm natural tone of your vinyl collection on a portable USB drive - no PC required. 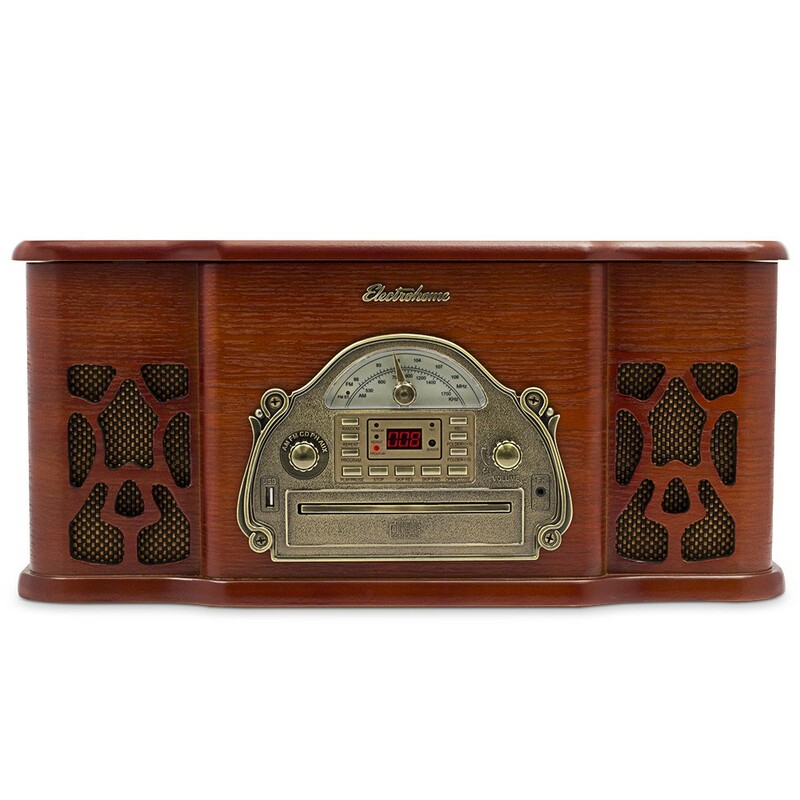 Not only is this retro system great for entertainment, the old-fashioned look also makes it a great addition to your home. 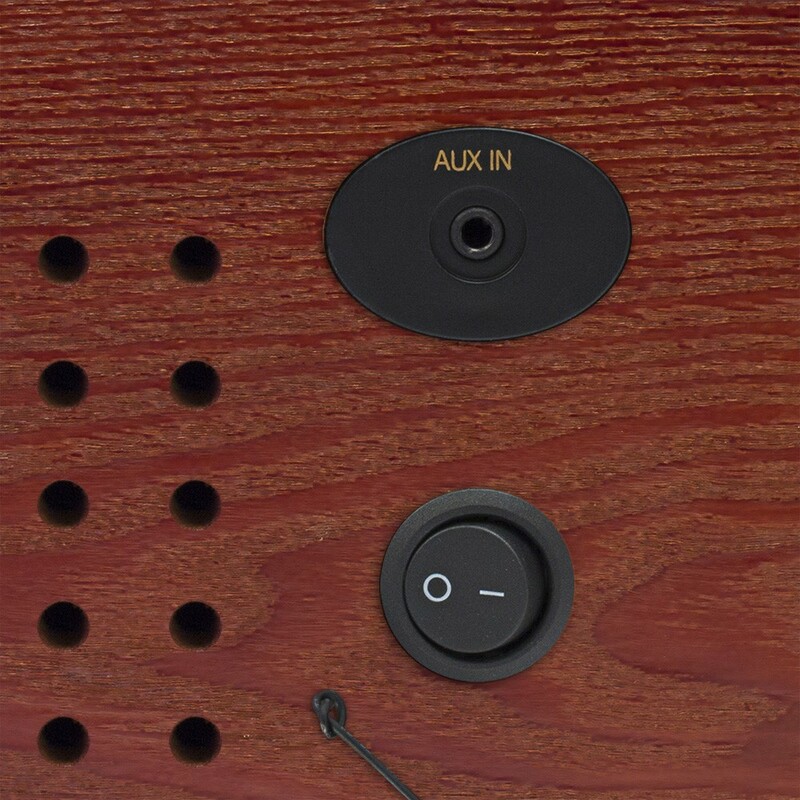 Fine details like the amber lighting on the analog tuning dial, rotary control knob and antiqued patina faceplate will complement your decor perfectly, and will bring you back to a time when just a penny would give you a melody and a dance. We purchased for a Christmas present in 2017. The turntable immediately stopped working (at Christmas) and I returned it for repair. Less than a year later, the CD player is skipping on all CDs. It is not worth returning at my expense. Good sound if it works. I cannot recommend. Plays beautifully. Tone is excellent. Arrived in time for Christmas and in mint condition. Very happy . Looks great, and is an awesome piece for our living room. Haven’t used it a ton yet, but everything works perfectly so far! Looks great, worked perfectly out of the box. 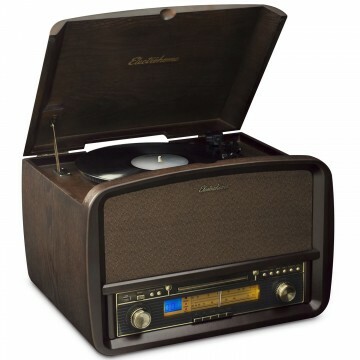 And it played our old records flawlessly. The controls do require reading the manual to figure out however. I personally have not had the opportunity to hear it's sound but she loves it and says it sounds wonderful. Arrived with damage to the record lid and would not turn on. Returned immediately. The sound quality is so bad that it is unlistenable. Even low-fi records sound terrible. The top volume would be a 3-4 on any other product. Controls are difficult to read.